When Rock Band 4 releases, gamers will likely be able to use all of their old plastic instruments in order to play the new game. Well, except for the Keyboard, but that's because it's being dropped entirely. Those new to the series, without plastic instruments or looking to add to their collection, though, will have the option of picking up the newest guitar. Rock Band 4 is being co-published by Mad Catz, a long-time creator of third-party gaming hardware. As such, they're making the plastic instruments we might be using once this game releases. IGN has a first look at the guitar, drums and microphone for Rock Band 4. Mad Catz Global PR Director Alex Verrey was on the scene to do all the talking. The guitar features better frets, the drumkit has a new shock absorbtion system and the microphone offers a brand new condenser. That's just the start for each input method. 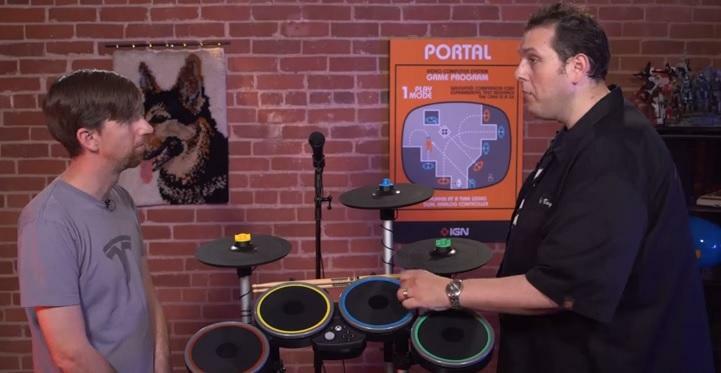 The drumkit on the PlayStation 4, for instance, will offer 40 hours of battery life at least.